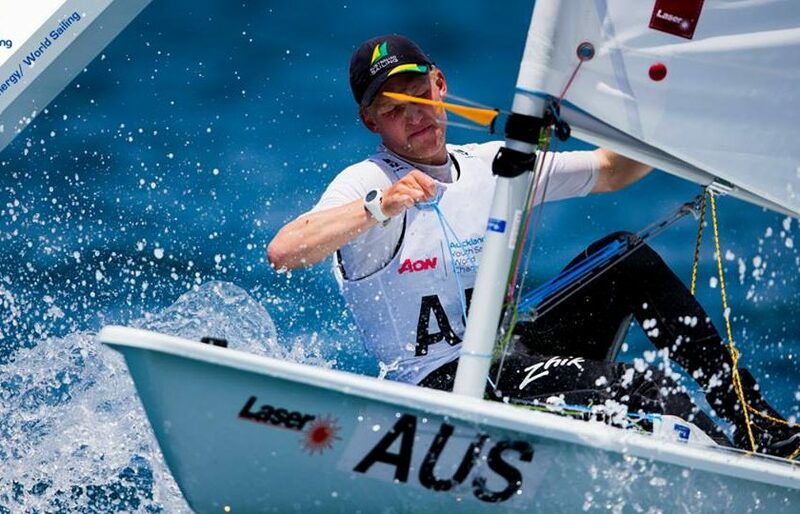 Before the last race tomorrow, Finnian Alexander AUS has a considerable lead in the big Laser Radial Boys fleet. The only threat is the now discarded premature start penalty from race 1, but a moderate position the last race will be sufficient for the title. Paolo Giargia ITA follows on the 2nd place 8 points ahead of the tied Carrson Pearce USA and Ismael Iess ESP on rank 3. In the Radial Girls, Hannah Anderssohn GER has taken the lead only one point ahead of Dolores Moreira URU and also Maria Erdi HUN 5 points behind has still a chance for the title. All ranking lists and the news of today.